I think I got a little over ambitious with my Christmas gifts this year. I just need my days to be about 6 hours longer. If that's not possible, then I could definitely use some energy drinks. Luckily we are leaving tonight for Kurt's parents house in Michigan, and I should have plenty of down time once we are there to get serious with my craft supplies. That's right- I'm bringing it all with me. Everything. A giant suitcase worth of stuff. But I'll post pictures of them as soon as I can. Are any of you making gifts? And are you going to be done on time? If you end up pulling some all nighters, know you aren't alone- I will be doing the same thing. Hi! 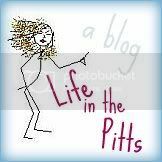 I found your blog thru ModPodgeRocks (she featured your mirror fix) and instantly started following. I am making all of my gifts this year, some I started in July, and just got that one done last tuesday. I have 2 more gifts to finish, I even brought it to work with me so I could get a jump on them! I'm crossing my fingers it'll be done by Thursday night. I'll have the pictures to post on Christmas day. this happens to the best of us! i didnt get two christmas wreaths done, and only one out of five garland done...im going to start sooner next year! i have to use our dinning room table so i have to put everything away before i go to bed or there wont be any room for the boys to have breakfast...lord knows if i leave it out i would have glue and glitter everywhere:)! have a safe trip to michigan and i cant wait to see what you have made! I always lose my mind and make way too many Christmas projects! It's just not Christmas if you aren't pulling your hair out wondering how you are going to finish it in time. I still have some pj's for the kids to finish, but that's about it. You have seen on my craft blog (hint, hint) what I have been up to this year. I made Christmas cookies yesterday (will be blogging them later) to give to the males in the family, and am going to make a cushion cover for my mum tonight or tomorrow. It's my first try at making things for presents so I'll probably work up to making more next year! I was planning on 3 gifts. One for my Mom, one for Grandma and one for Dad. Got exactly one done: Grandma. It was the simplest. Got one page done on Mom's, and got the supplies bought for Dad's... after arriving in Mt! Never mind. They know I wouldn't have survived my semester if I'd been trying to get Christmas presents done! Congratulations for getting everything done! Not only done, but perfect!